Summit a mountain, trek down and take a plunge on a river, brave a cave and take another dip on its underground spring simultaneously within a course of a day. 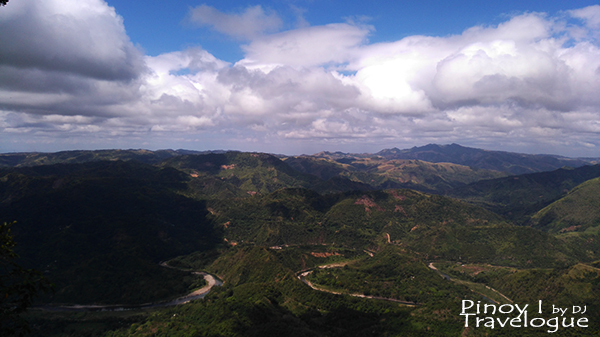 A remote village in Tanay, Rizal gives off this rush of adrenaline. 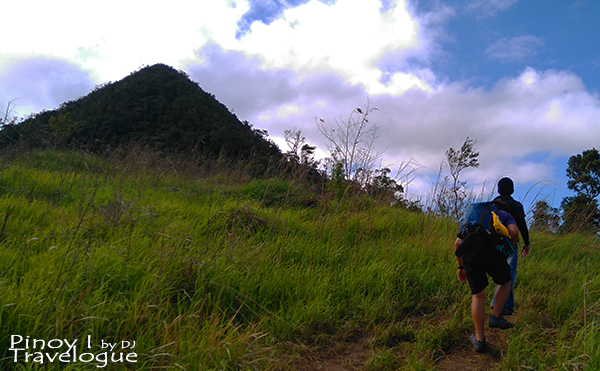 Local mountaineers frequent Daraitan as it was home to some known and innominate mountains of the great Sierra Madre mountain range. Mt. Daraitan, though named after this village in Rizal, sits between the political borders of Tanay, Rizal and Gen. Nakar, Quezon. 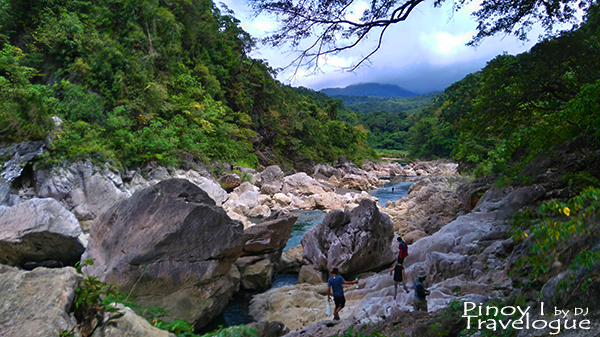 At 739 meters above sea level (MASL), it features a verdant tropical forest and unique limestone formation at the summit which serves as a vantage point of the meandering Daraitan River. Traversing the mountain descends to a river that prides itself as the cleanest inland body of water in Region IV. Tinipak River stands out for its white marble rock formation towering at the river bank and bits of large rocks scattered on its narrow streams as if a mythical giant creature shattered a humongous boulder and formed the marvelous Tinipak Rocks. Tinipak River and Daraitan River seen from the summit are different rivers flowing through the same tributary. Within Tinipak Rocks vicinity lies Tinipak Cave, also known as Mamara Cave since it lies beneath Mt. Mamara, a mountain parallel to Mt. Daraitan. 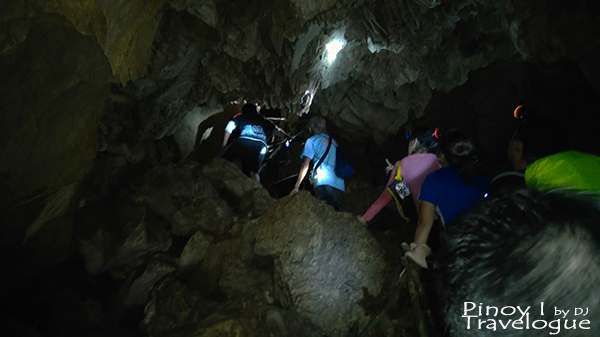 Exploring its interiors requires about five minutes of challenging trek along a rocky trail to reach the cave's chest-deep underground freshwater spring. Barangay Daraitan is a far-flung eco-tourism village in Tanay, Rizal. 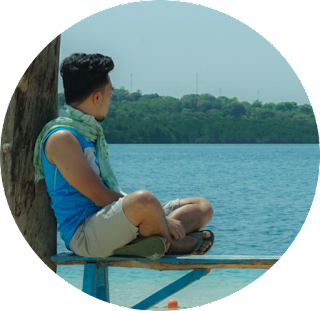 It was bound by Quezon and Laguna provinces and will take about 3.5 hours without traffic to reach the village center. Prepare for one and a half hours of bumpy, shaky and dusty tricycle ride from Tanay town to Daraitan. Sign up, get a tour guide and pay the necessary fees at Daraitan barangay hall. Every 10 tourists requires a tourguide. They do not allow hikers to go on their own. "Legit" tour guides wear ID and uniform. Summiting Mt. 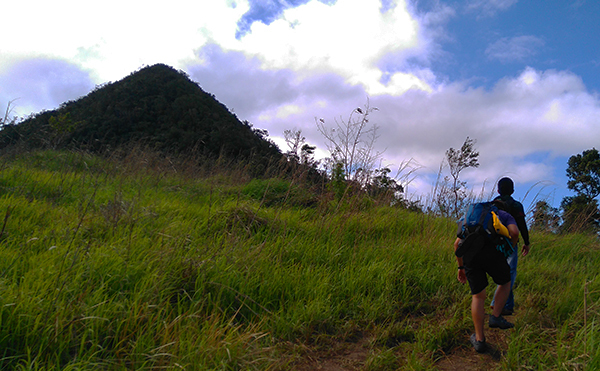 Daraitan usually takes 2-4 hours depending on hiker's pacing. Check PinoyMountaineer.com for technical characteristics of Mt. Daraitan. Bring packed lunch or light meals when going on a day hike. Several sari-sari stores line up the jump-off point selling snacks, bottled waters and energy drinks, and some protective hiking accessories such as arm gloves/sleeves. Local vendors sell refreshments and snacks along the trail, so worry not if you forgot to bring drinking water. Mobile signal is sporadic and weak whenever it exists. Expect a jam-packed Mt. Daraitan summit and camp sites, a crowded Tinipak River, about hour(s) of falling in line for the cave, a crowded cave pool and a limited time inside Tinipak Cave during weekends. It's always better to visit on weekdays. Reaching the spring inside the cave requires trekking along slippery, uneven and sharp-edged rocks. 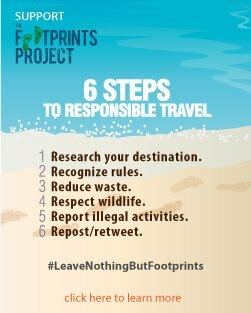 It would be better to wear closed trekking footwear and bring a bright flashlight. Tricycles in Daraitan travels between 4AM to 11PM only.